OK, first of all, those of you who have known me very long will laugh at the thought of me doing a cooking post. You know that Husband has been Head Chef for the majority of our married life. BUT, in recent months, I have taken the reins in the kitchen, and it turns out I’m not so bad, AND I truly enjoy it. There’s something about getting out my cutting board, pouring a glass of wine, and chopping away at a pile of vegetables. Good for the soul, I tell you. I love pizza – who doesn’t? 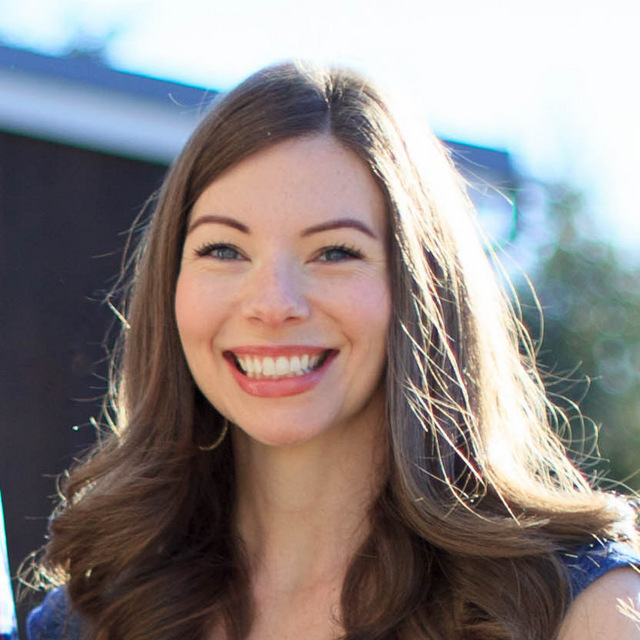 – so when I went gluten-free a few years ago, I was sure I would never find a crust that would compare. I’ve tried mixes (they’re okay), I’ve tried a friend’s family recipe for Zucchini Pizza (which tastes amazing, but you have to eat it with a fork), I’ve tried frozen (will do in a pinch), and I’ve tried some local gluten-free delivery (not bad, actually). 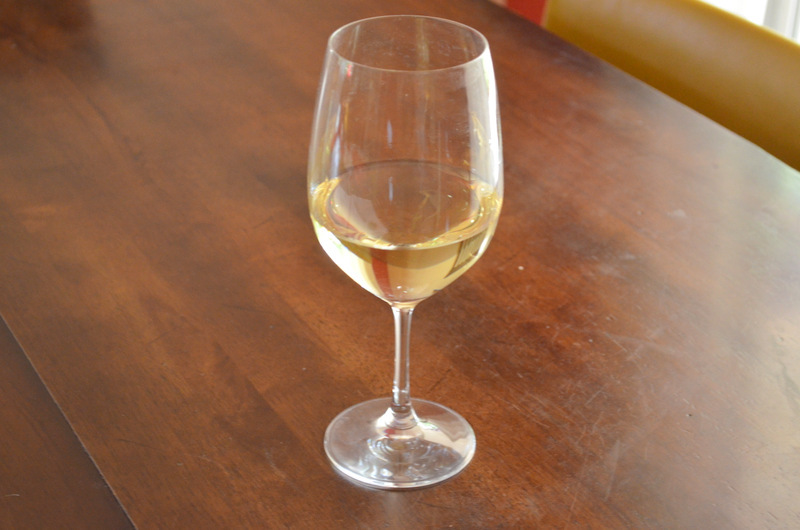 Start with a glass of wine, because it’s Friday and you’ve survived another week and it’s Friday Night Pizza Night and it’s kind of the rules. Really start by chopping a head of cauliflower into big chunks and then running it through a food processor. 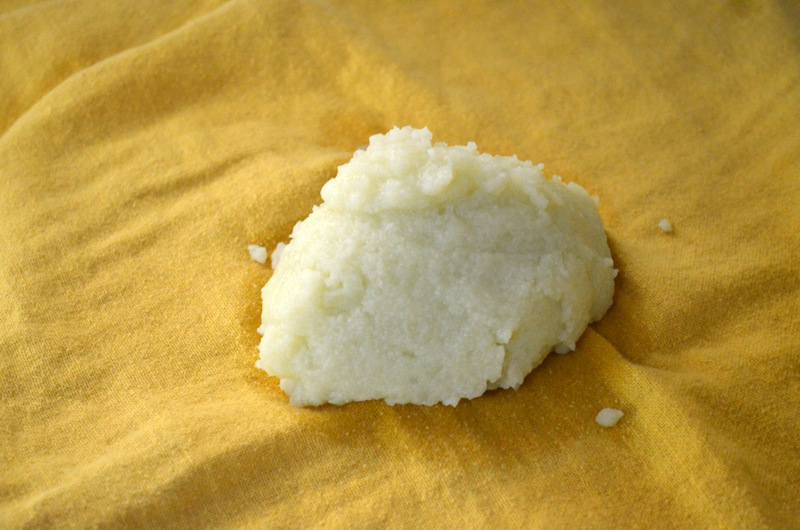 You want the piece of cauliflower to be REALLY small (similar to the size of couscous). After boiling, strain cauliflower in a fine mesh strainer. I use a spoon to stir cauliflower around to get more water out of it. Let cool – if you don’t, you’ll burn your hands during the next step. 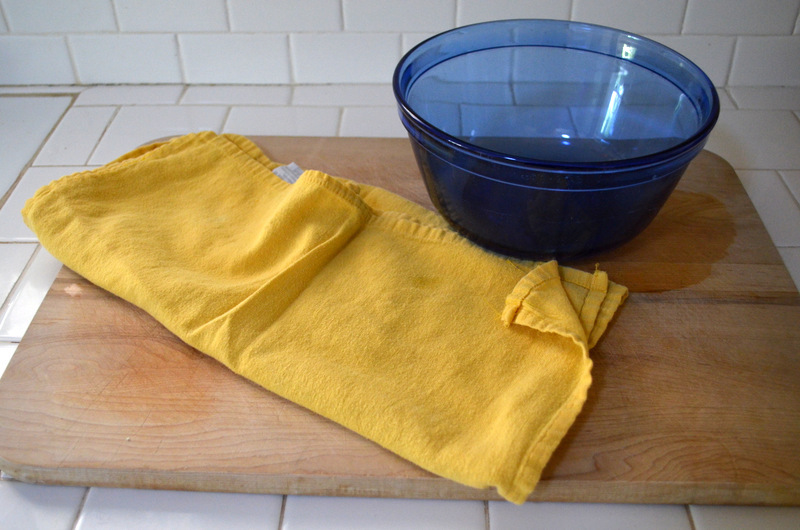 This is the most important – don’t skip this part – find a very thin, clean dishtowel. Put strained cauliflower onto the middle of the towel and squeeze the living daylights out it. Really, even when you think you’ve gotten all the water out, keep squeezing as long as you can stand it. 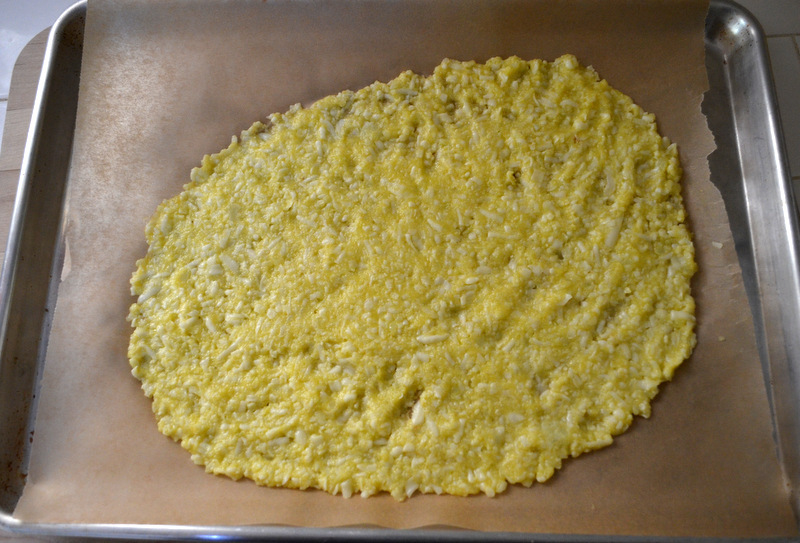 The cauliflower needs to be really dry to bake up into a crust. When it’s done, it will resemble very dry mashed potatoes. Measure about how much cauliflower you have. 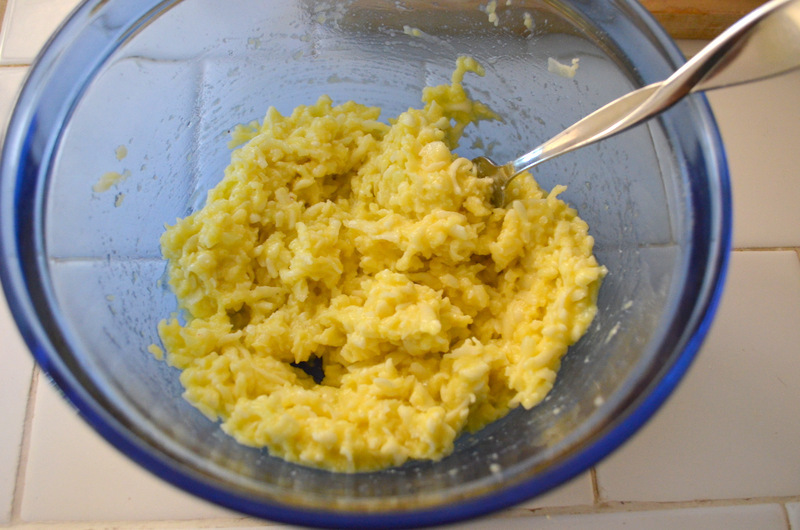 For every cup of mashed cauliflower you have, crack that many eggs into a bowl and whisk. 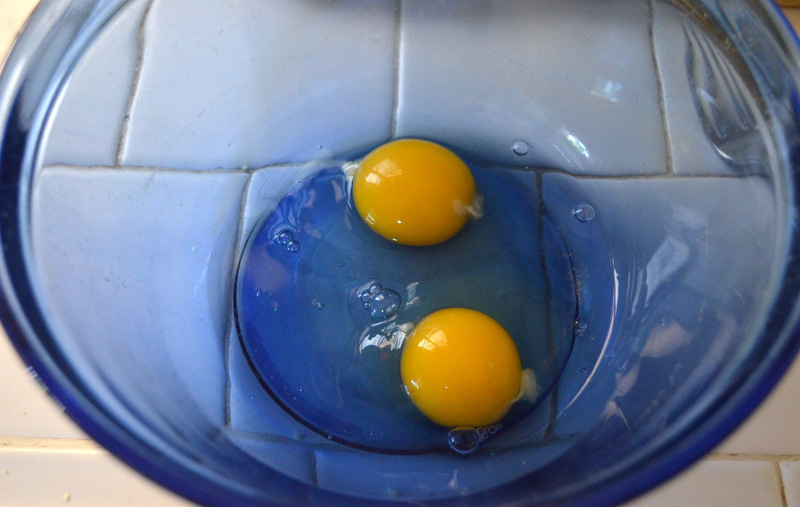 I had about a cup and a half, so I used two eggs. Add cauliflower and whisk. It will be runny. For every cup of cauliflower, add that many cups of mozzarella cheese. Again, for one and a half cups of cauliflower, I added one and a half cups of cheese. Add a pinch of salt and stir to combine. You want it to brown a bit and crisp up so that you can pick it up to eat it. 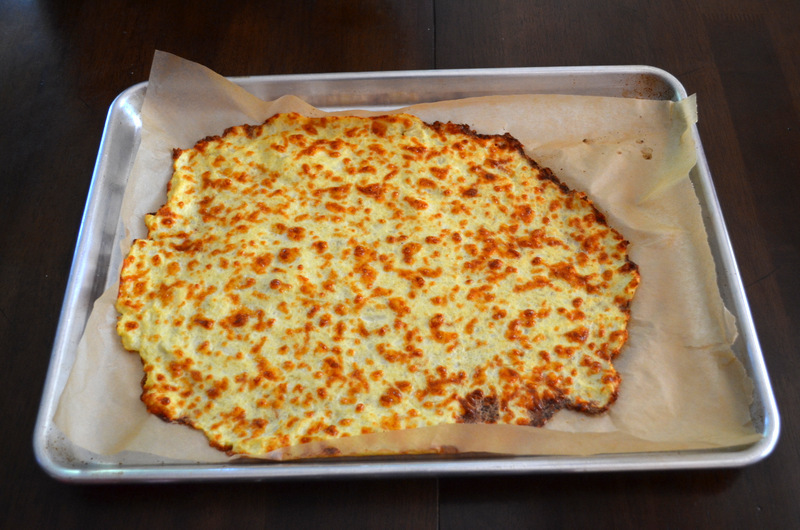 This is how I like it – edges brown and lots of toasty cheese bits in the middle. 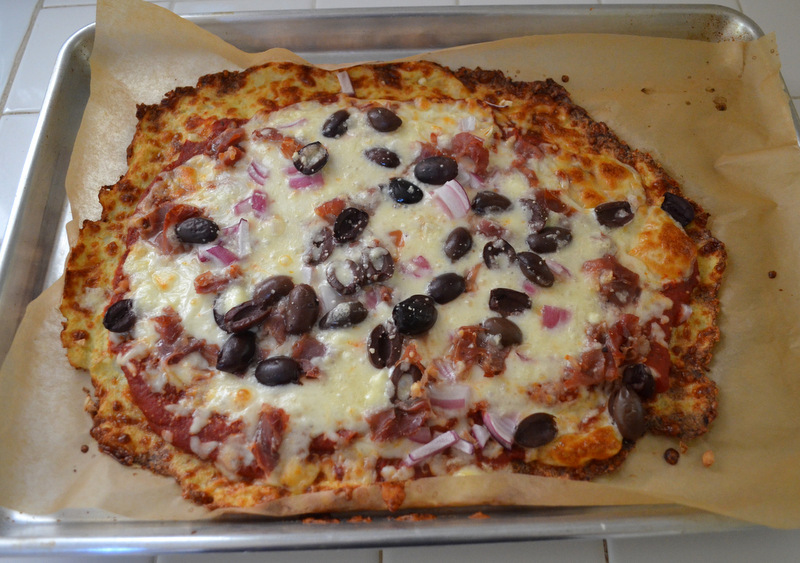 Add pizza sauce, cheese (yes, I add MORE mozzarella here), and toppings (I love prosciutto, anchovies, olives, red onion, and pepperoncinis – out of all of these, the red onion is the least favorite of BB and BG) . Return to 400* oven and bake for 13-15 minutes. I like my cheese to start to brown a bit on top, so I will sometimes broil it right at the end. And there it is – my favorite gluten-free pizza. Chop 1 head of cauliflower into large chunks. 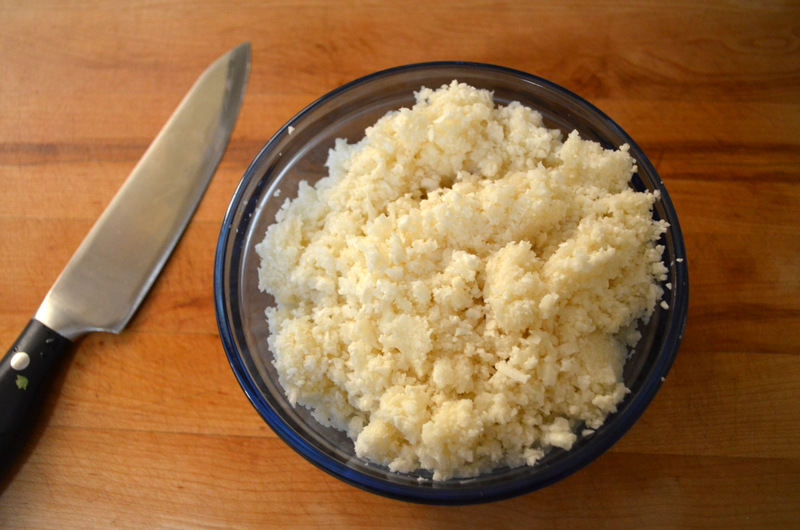 Run cauliflower chunks through food processor until each piece of cauliflower is very small (similar to couscous). 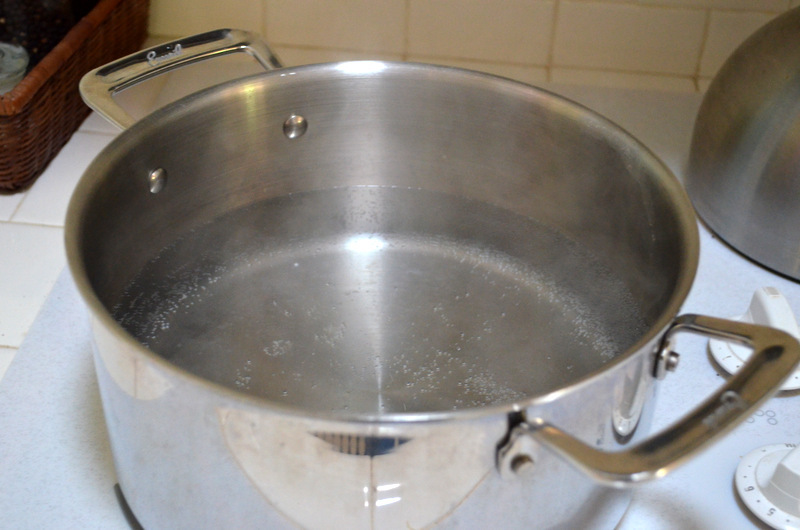 Boil a pot of water. 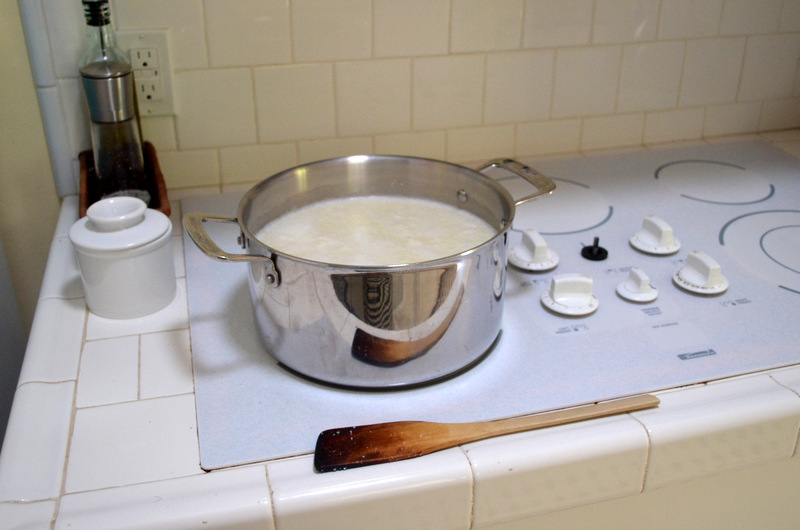 Boil cauliflower for 5 minutes, stirring often to prevent spill-over. 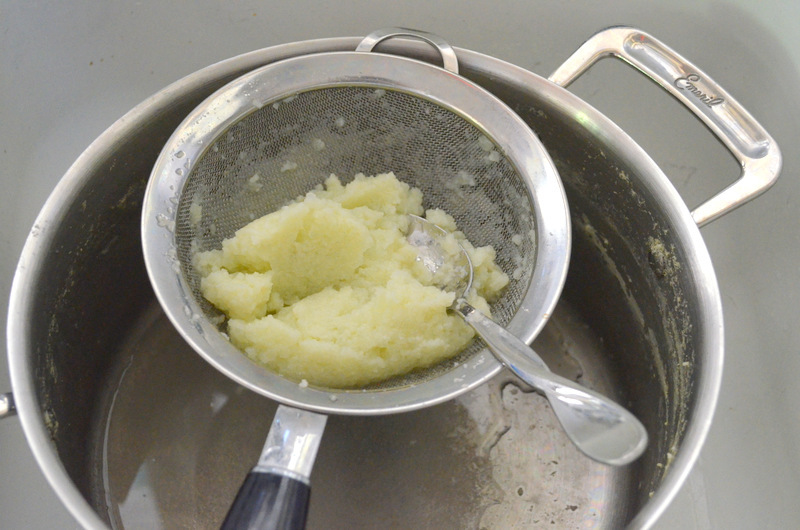 In a fine mesh strainer, drain cauliflower, stirring with a spoon to get out excess water. Place cauliflower in a thin, clean dishtowel and squeeze remaining water out. Cauliflower will resemble dry mashed potatoes. Measure the amount of cauliflower you have. 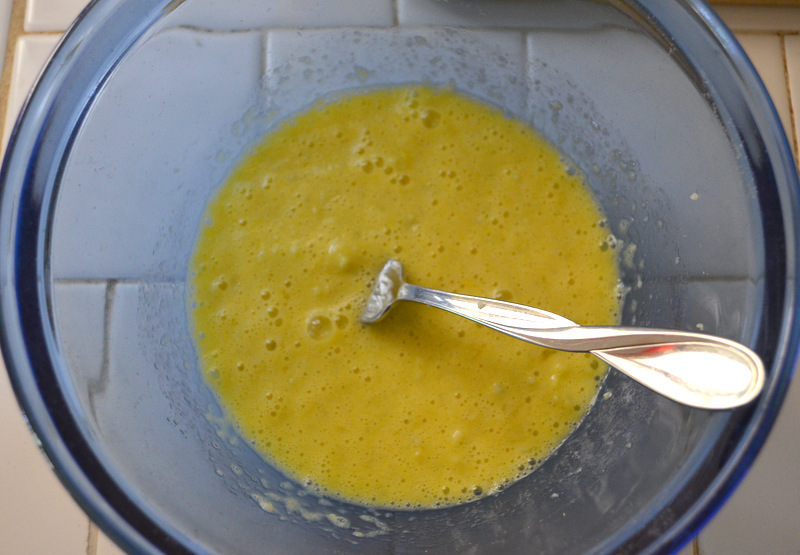 For every cup of cauliflower, whisk that many eggs in a large bowl. Add cauliflower and whisk. Add a pinch of salt the same number of cups of mozzarella as cauliflower and stir to combine into “dough”. Line a baking sheet with parchment paper. 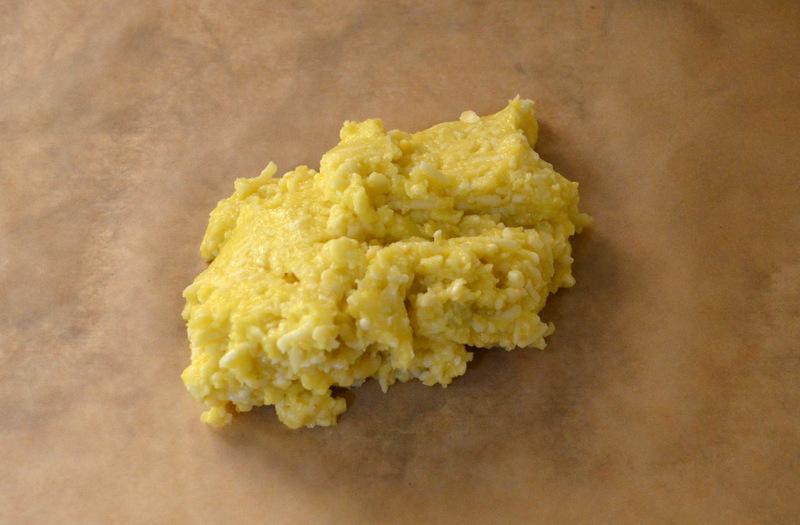 Place “dough” on parchment paper and use hands to spread into a thin layer. Bake in 400* oven for 25-30, until edges start to crisp and inside crust starts to brown a little. 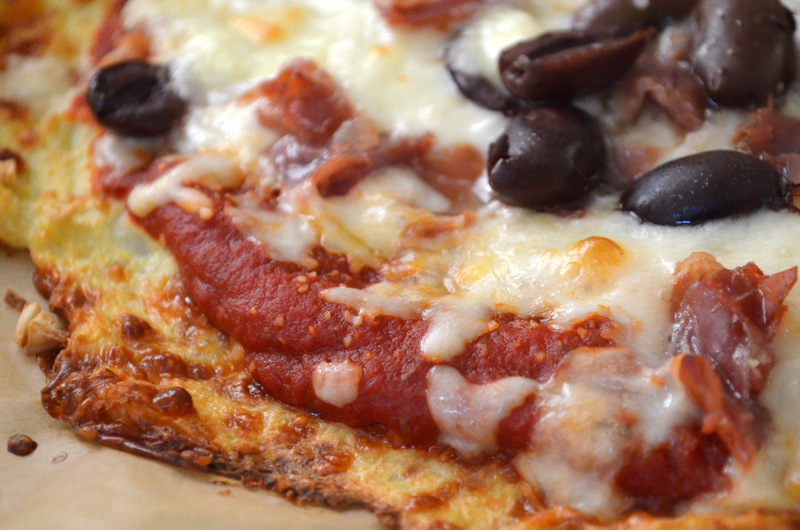 Finish off with pizza sauce and your favorite toppings, then return to oven to bake 13-15 more minutes, or as desired. Friday Night Pizza Night is apparently a thing. Do you do it? Or Taco Tuesdays? What meal traditions do you have at your house? I’d love to hear.